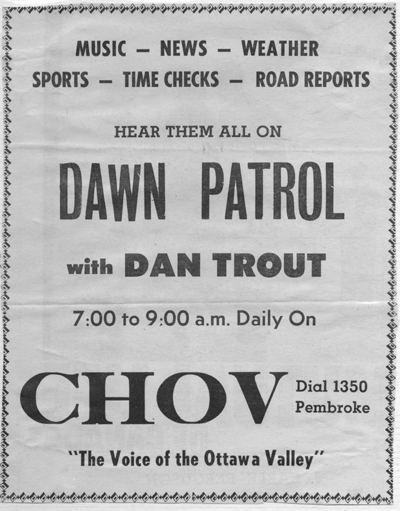 I was moved to the morning show quite soon after starting with CHOV, we had operators, Elroy Schiskoski and Linda Nixon were the primary people who looked after the technical end of the show. After the morning run I usually went next door to the court house and covered the days proceedings, then back to the station to write the news stories. This was a great learning experience, and Bill Kay was a wonderful teacher, a mentor, tough but fair and very patient with the rookies he was working with. I really came to realize what a great teacher he was after leaving CHOV. Ah the "Kitchen Club". 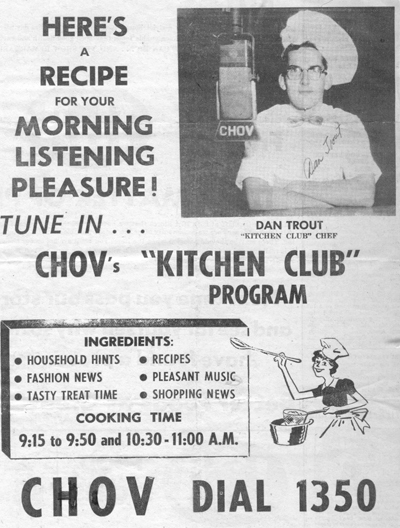 Here I was just into the biz, and telling listeners how to cook ~ wonderful recipes that I had no idea about. I don't imagine I could boil water at this stage of my life. But it was a fun show to do, with the usual contests and give-aways. Great bow tie huh? And look at the hat!, Michael Smith look out! And don't I look happy? Looks as if I've just found out that my entire family has been wiped out in a mining disaster! I did a lot of these movie nights, but hey, the free passes to the O'Brian came in handy when I had a few spare hours on an afternoon, free popcorn and Coke too! 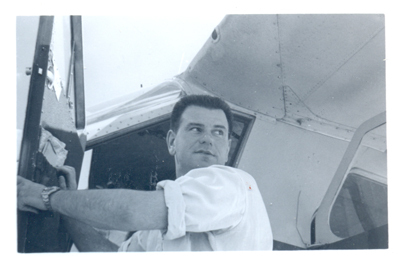 Here I am climbing aboard a DeHavilland Beaver with pilot Pepi deGiacinto for a day's flying as part of a documentary I was doing for the New Brunswick Forestry Service. It was all about forest fires and bud worms. We landed at various camps and in Edmunston and Baie-Ste-Anne, the home of world famous boxer Yvon Durelle. It was a marvelous day and we flew at tree top level most of the time. Returning home to Fredericton around midnight, we saw "Sputnik" the worlds first satellite as it passed over Eastern North America. It was quite a thrill. 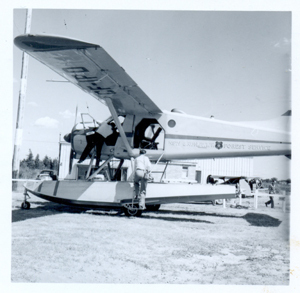 Here's Pepi getting ready to take us on our adventure over the forests of New Brunswick. We stopped off at a logging camp for lunch and then on to Edmunston to pick up an airforce buddy of Pepi's who was learning to fly the Beaver. It was an interesting experience to watch, and feel, as he tossed the Beaver around like one the jet fighters he was used to flying. Pass the air sick bag please! Here's a great promotion, living in a prison outfit in a storefront window done up like a jail cell! 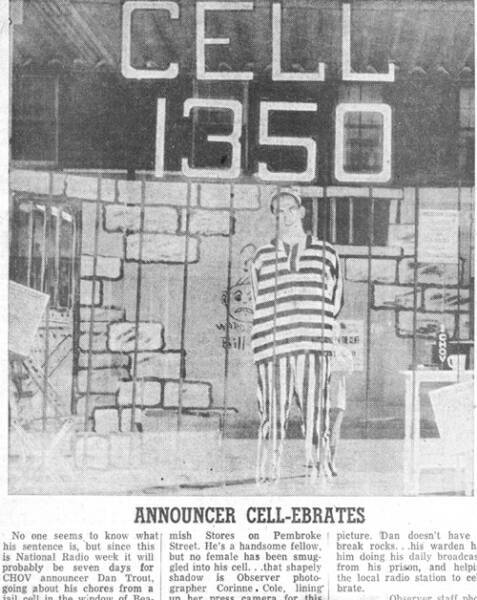 I spent a week in this cell... mind you I did get to go home at night, but had to be back behind bars every morning at 6 to do the damn morning show. I even had to wear one of those stupid jail hats, you know, the round pill box style. God I hated every minute of it. The idea was hatched over a few drinks at the local Legion Hall I believe, but the purpose of the promotion was to celebrate an anniversary of the station... for the life of me I can't remember what milestone we were celebrating, but I'm sure it was significant. It must have been, right???? 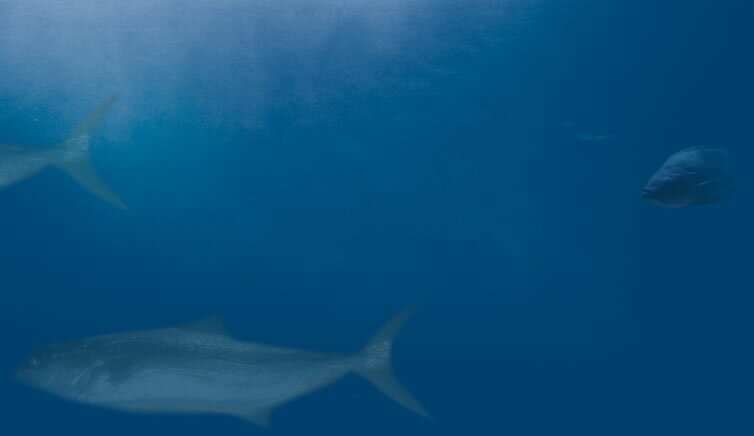 As the years went by I realized that promotion people have a definite malicious streak in them. In The Basic Bugger Book by Dr. G.J. Emerson, ISBN 0-920516-09-2 you will find a perfect description of promotion people under the heading, "Nasty Buggers!"